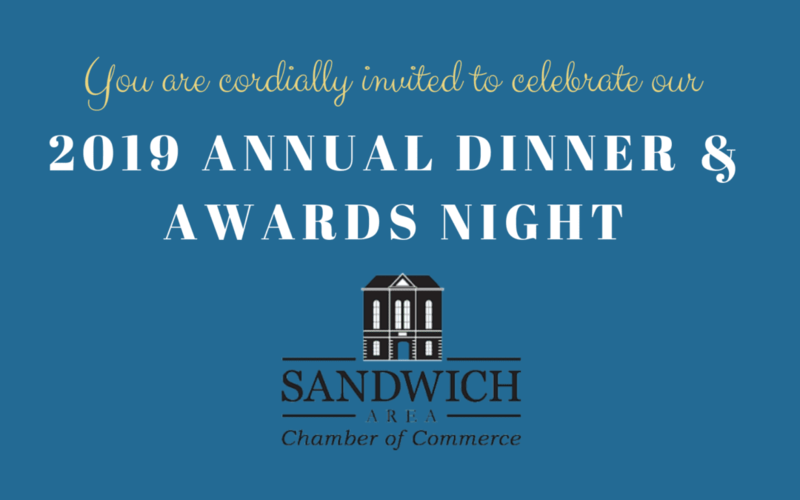 Sandwich Area Chamber of Commerce Annual Dinner & Awards Night Thursday, March 7, 2019 at 5:30 pm. Dinner located at Fox Valley Older Adults at 1406 Suydam Road – Sandwich, IL Cost: $50.00 / person. Complimentary Hors Doeuvres & Buffet Dinner. Cash Bar. Programs and awards to follow; silent auction, drawing for 50/50 and raffle. For additional information please call 815-786-9075. Please RSVP by February 7, 2019.